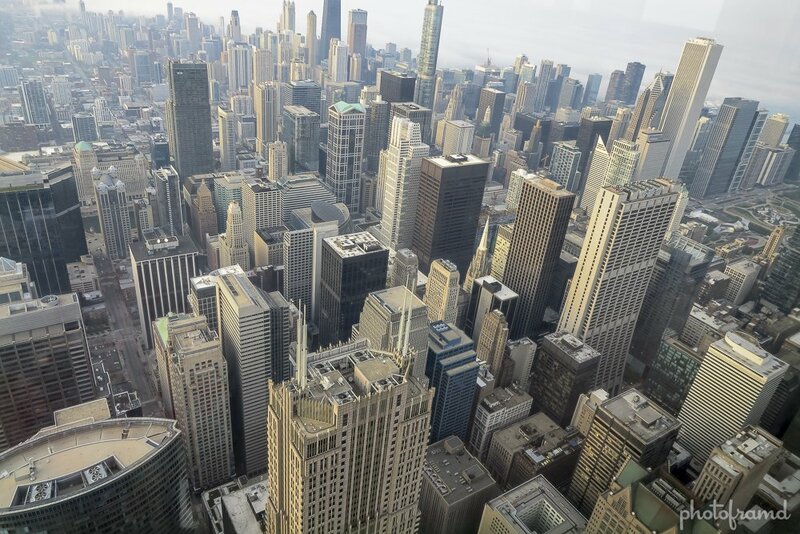 In 1973, the world’s largest retailer completed construction on the world’s tallest building – the Sears Tower in Downtown Chicago. Today, the tower is known as the Willis Tower. Although it is no longer the tallest building in the world, at 110 stories and 1,450 feet high (1,730 feet high including the twin antennas) is still offers an incredible view. Recently, the Observation Deck added the Skydeck – four 4-foot square cubes sticking out over the edge of the building. It is very cool and takes a lot of nerve to walk over the ledge. As a photographer, I was disappointed. 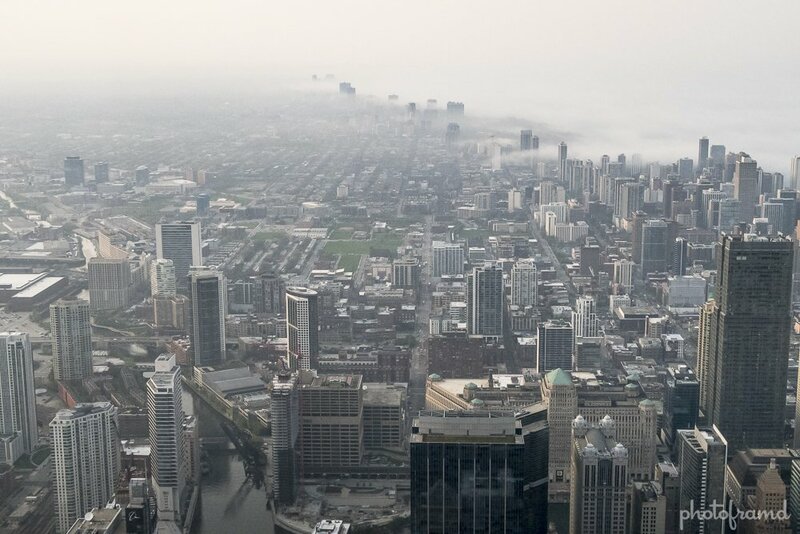 The Willis Tower has no outdoor observation area, so all photos were taken behind glass windows … very filthy windows. In fact, the best view had the dirtiest windows! 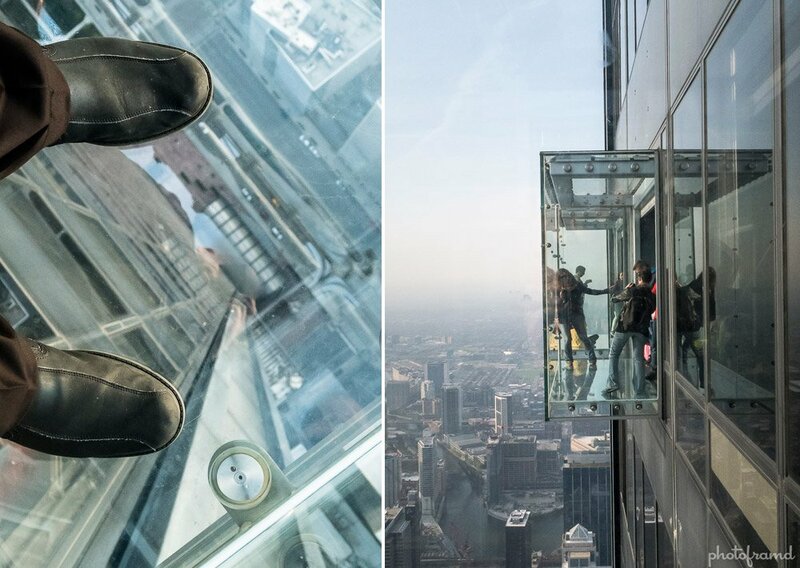 The Skydeck windows were clean, but you cannot see the other tall building in Chicago – the John Hancock Building. As for the Canon G7 x, I am very happy with this little camera as a replacement for my Sony RX100 II. It offers a touch screen, a better range at 24mm to 100mm but the same sensor as in the Sony RX100 III. It also acts like a Canon which makes it easy for a Canon user to pick-up. 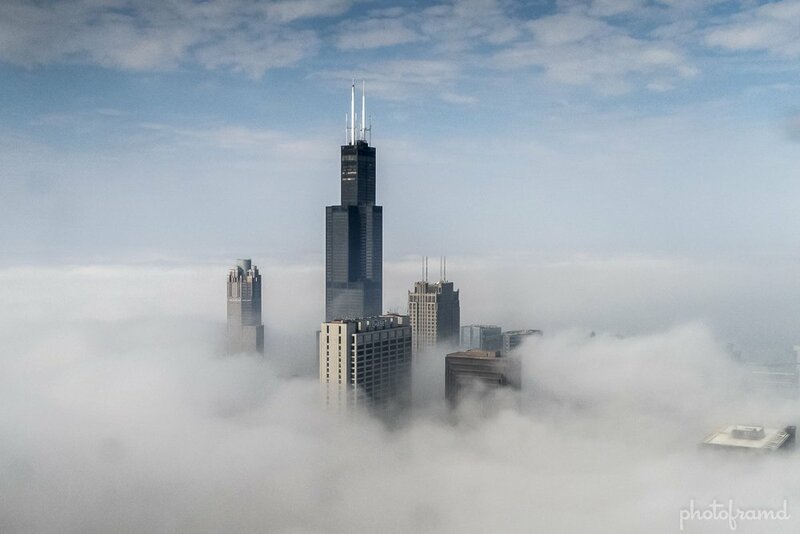 While I was in Chicago, the fog was insane. That’s how I took “the city in the clouds” photo at the top of the page. (That shot was taken from the Aon Building with clean windows!) To compensate for the dim light, I shot RAW at ISO1600 for most photos. The results were too noisy and took clean-up in Lightroom. On the other hand, the HDR shots were perfect. Nominal noise without the tell-tale fake HDR look. The only trade-off is the file is saved as a high-res JPG instead of a RAW file.